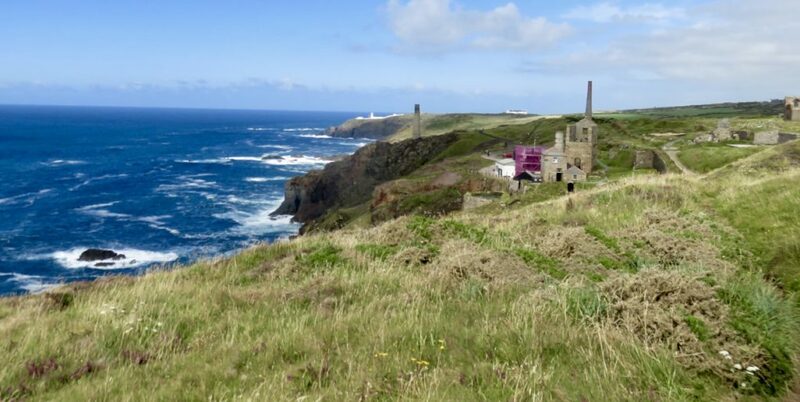 In his third blog on the South West Coast Path, Richard Langley describes the spectacular 62 miles section from St Ives to Helston. After a few days walking from Bude, feeling tired after a long day and without a campsite reservation I got very lucky. 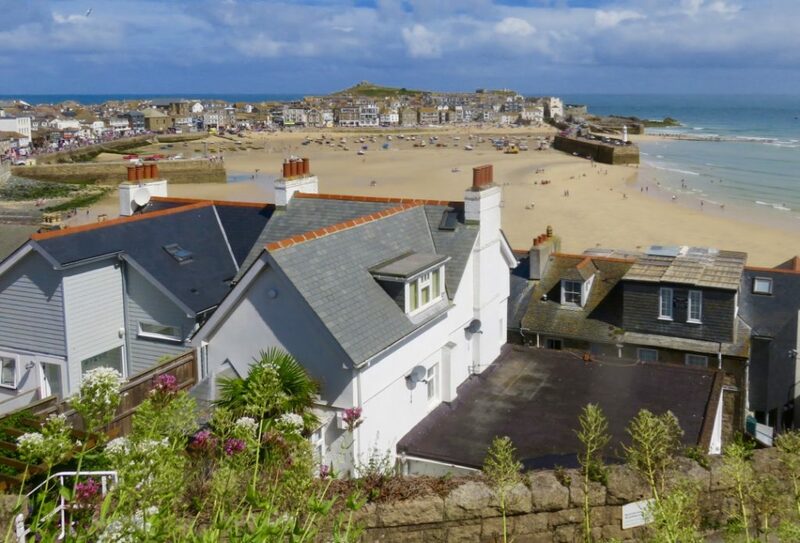 After eating at The Sloop at St Ives, I booked a lovely annexed room for a couple of nights. It was right on the front. 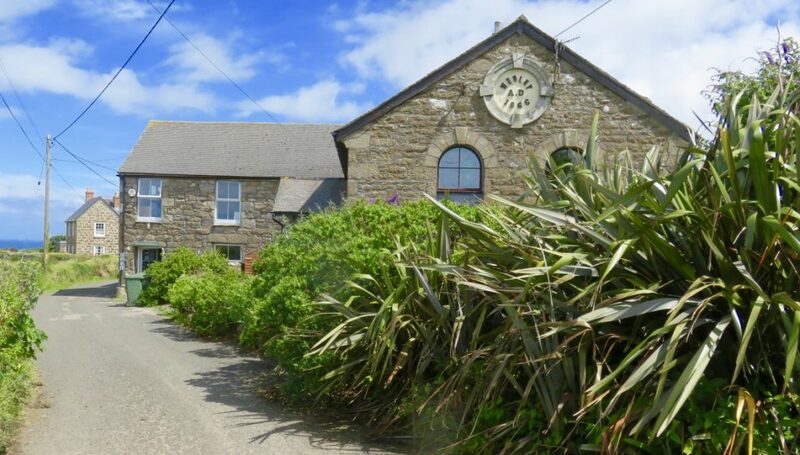 I could walk to Morvah, catch the wonderful open top bus back to St Ives and then, on the following day, I could bus it back to Morvah from where I could walk on to Sennen Cove and Lands End, this time with full backpack again. 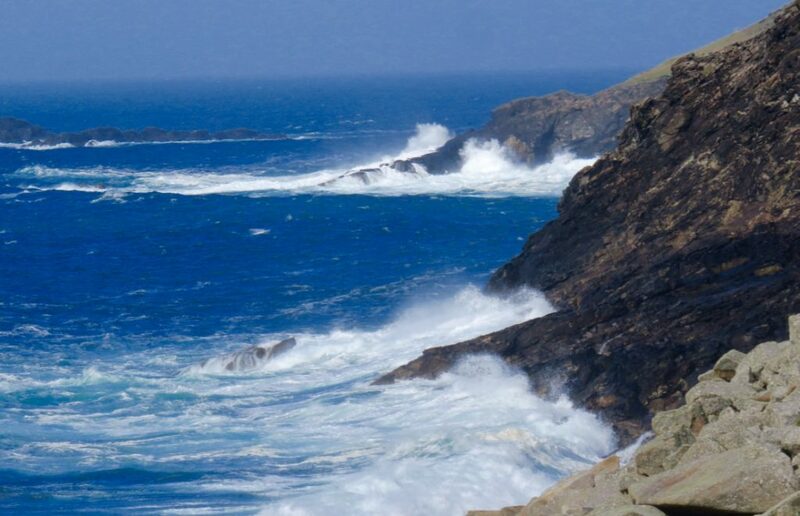 These two days walking were the best ever, there was a force 6 to 7 westerly with clear blue skies. 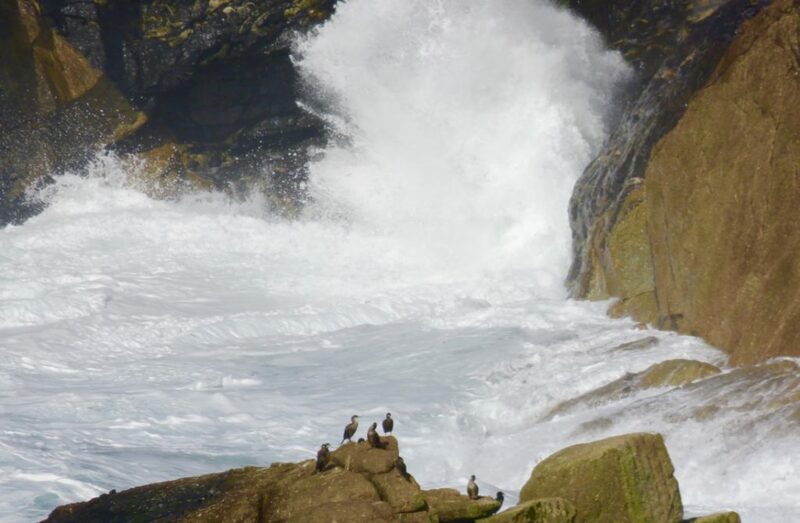 Walking along the low boulder strewn path with a heaving sea was awe inspiring. The worked-out mines and derilict buildings around Botalack and Geever gave glimpses of how hard life must have been in earlier times, (it reminded me of Steve Knightley’s folk Cousin Jack). I saw several young hawks learning to fly. They seemed so unaware of my presence, giving me the chance to take some amazing photos. Peregrines, sparrow hawks and little kestrels were also present. Morvah was my favourite village along the pathway. It’s a wonderful pivot point, and has a great cafe and art exhibition. 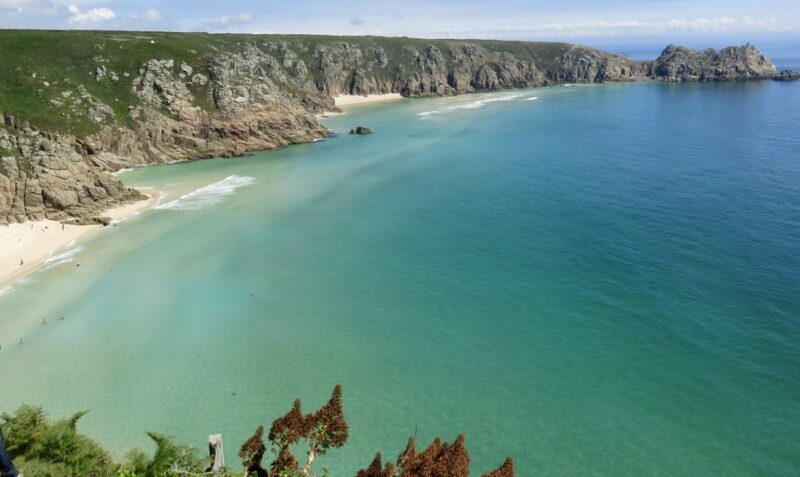 I was there on a day with just a few holiday makers, the day before they had their annual pasty festival attended by around a thousand people. 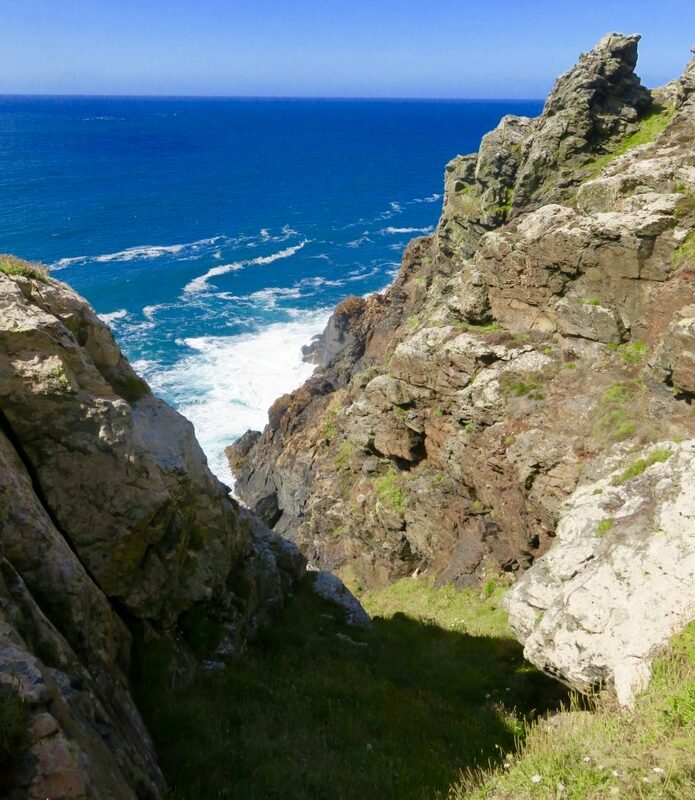 After the mine workings and National Trust property at Levant there were two paths leading on to Cape Cornwall. I took the narrow coastal path. It was quite severe and the scramble in places reminded me of Tryfan in Snowdonia. With a heavy 20 kg pack it was quite dangerous. It was a tough job to get out of the gulley and had me concerned for half an hour or so… some warning of this might be appropriate as with a heavy pack it would be easy to overbalance. 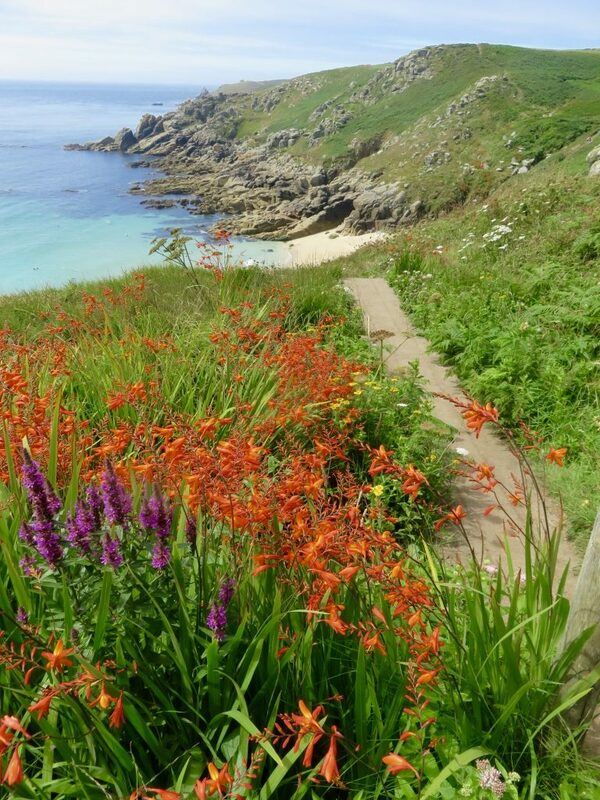 The path all the way from St Ives was breathtaking, spectacular and a privilege to witness. I remember stopping along the way and talking to other lone walkers where you would just stand in awe of it all with tears in your eye. The campsite just before Land’s End gave shelter for another two nights, again with the help of the bus for return, the walk to Penzance and on to Helston was completed in three days. After Land’s End the sea mist came in yet the light and colours given off by the gorse and heather made it a remarkable sight. 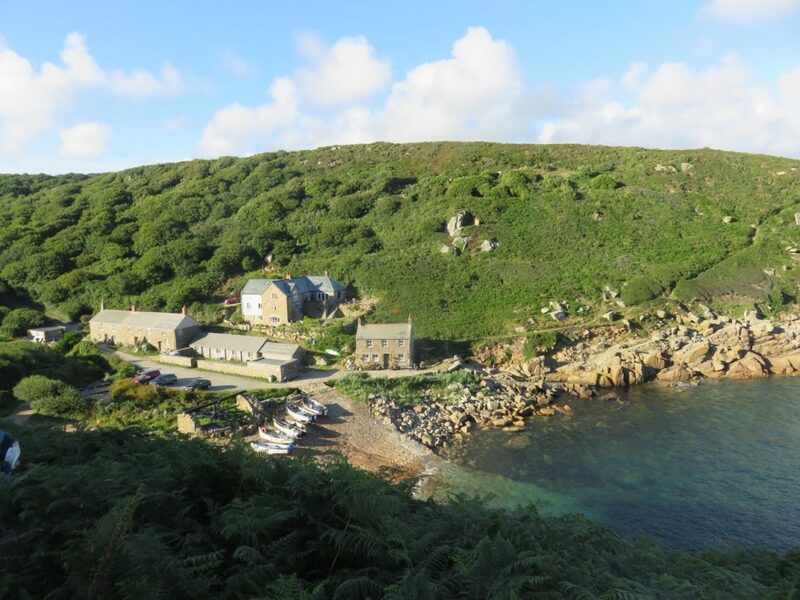 There were some great coves along the way (Porthcurno and Lamorna). I had the best swim of the whole walk at Penberth where the tide was full. With the sun going down, I watched the Scillonian ferry returning from the Isles of Scilly to Penzance…it was a memorable couple of hours. The way to Mousehole was quite wooded and sheltered, a change from the open cliffs and moorland before. The walk flattened out towards Penzance and then on to Helston ready for the next section around the Lizard.